Weddings are the magical union of two souls as they promise to love each other till the end of time. Every couple tries to make their wedding a special event that is memorable for a long time to come. This trend has brought forth several different wedding themes in the recent times. Outdoor weddings have become quite popular even though they can be a bit tricky to plan. So while wedding flower decorations, you need to keep an eye on the outdoor weather conditions for the D-day. If you plan to get married in a garden gazebo, you can incorporate any number of flowers you want. Since the venue already might be having flowers along the pathways and edges, you can choose some blossoms that complement these colours. Wedding planners suggest having flowers that have a gentle movement if there is a breeze to add romance to the whole picture. If you have chosen a location that offers rustic mountain views for your outdoor wedding, you can go minimalistic on the flowers. Pick out flowers that are rustic to match the venue and add charm to the wedding. You can have large vases filled with overflowing flowers situated at the corners of the venue to have some fragrance wafting in during the ceremony. If you are planning on having an outdoor wedding, you need to narrow down your venue to make the other arrangements to suit the venue. Beach weddings are a romantic choice with a hint of sea breeze by the lovely rolling waves. Unfortunately, most flowers do not agree with beach conditions, narrowing down your choice. Flower experts recommend picking out tropical flowers which can withstand the salt and the sun at a beach wedding. The bridal bouquet is the perfect way to include your favourite flowers. You can pick out the ones that hold dear to you or those that complement your outfit. The bridal bouquet is an additional accessory that completes the look of the demure bride getting ready to start her life with the love of her life. With sit down weddings becoming the norm nowadays, table centrepieces are making an entrance at Indian weddings. You can create simple floral centrepieces for each table. If it is an outdoor wedding, you can add personalized touches to the centrepiece, like a couple of sea shells for a beach wedding or a rustic frame with the newlywed initials. Flower arches are a favourite among most couples. 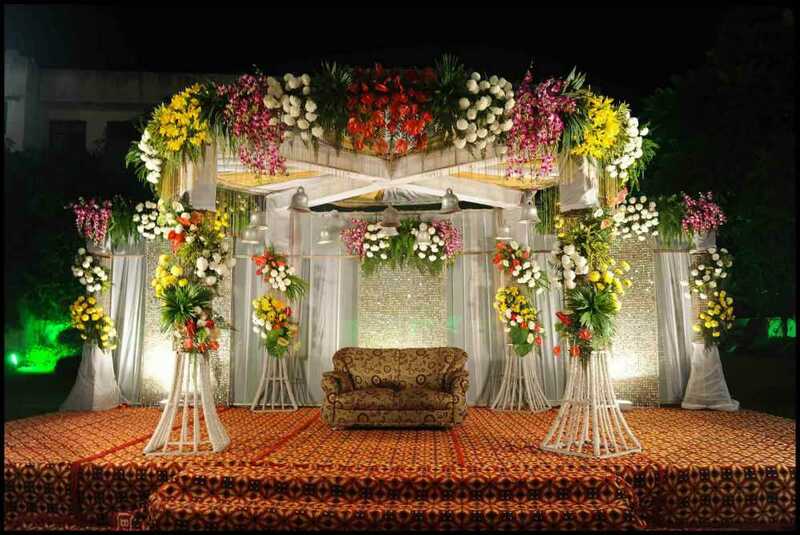 Entwined with flowers of your choice, you can place a flower arch right at the mandap or the stage, where you plan to get married. The lovely fragrances will add the perfect touch to create the perfect wedding you have always wished for. 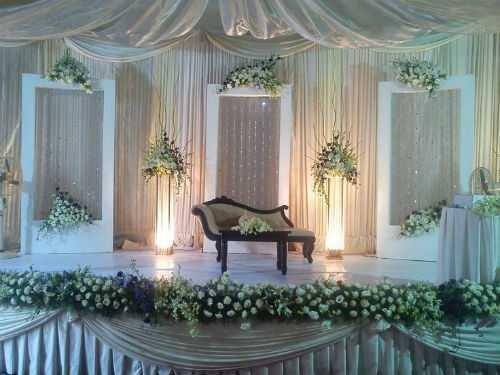 Flowers add elegance and charm to any wedding as per the wedding decors in Chennai. So pick out your favourite blooms that are in season and get ready to tie the knot!